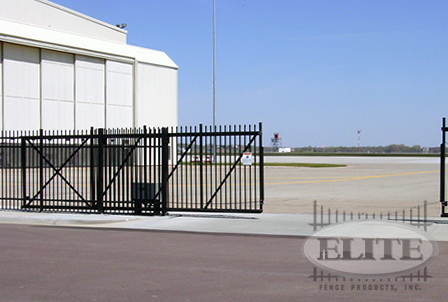 Our ZipTrack™ Aluminum Cantilever gates are among the industries finest. It features our own exclusive design and comes fully assembled. Our ZipTrack™ gates feature an enclosed lower guide wheel, which eliminates a pinch point and provides superior lateral stability. Our exclusive upper track is designed for maximum strength and stability. 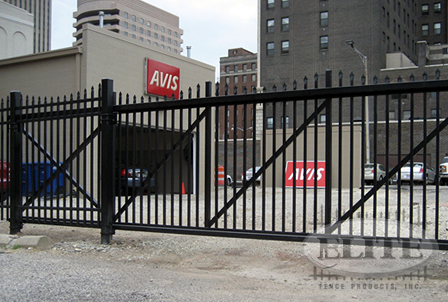 All hardware is included in the price of our gates. If you have any further questions regarding ZipTrack™ gates feel free to call. 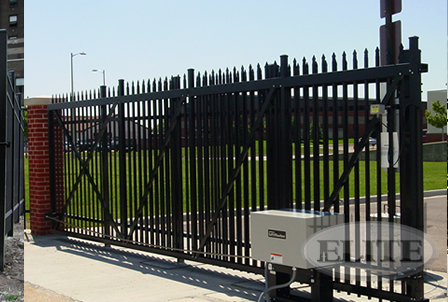 ZipTrack™ Aluminum Cantilever Gates are manufactured exclusively by Elite Fence Products Inc. Our exclusive ZipTrack™ Cantilever Gates are offered in a variety of styles and colors to match and complement your Ornamental Aluminum Fence. 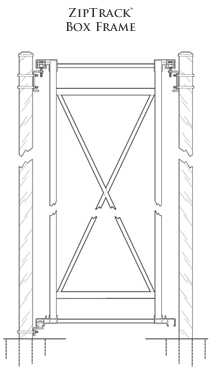 We also offer ZipTrack™ Aluminum Cantilever Gatesin frame only, which will allow you to add your own wood, chain link or other filler material for maximum security. 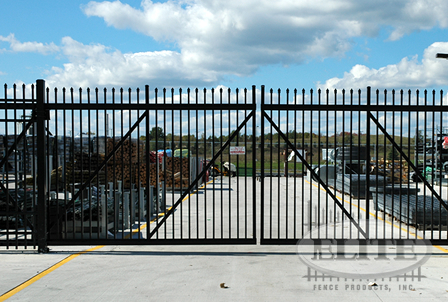 ZipTrack™ Aluminum Cantilever Gates and truck assemblies are covered under a Five Year Limited Warranty.